London based Olga (pronounced Olya) Geoghegan, is a technical virtuoso and her universal and haunting paintings of people, places or objects are strongly influenced by her childhood growing up in Ukhta, then in the North of the Soviet Union. At the age of ten, Olga moved 1,000 miles from home to take up a place at the Leningrad Academy of Art's special art school and then graduated from the St. Petersburg Academy of Art, Russia's most prestigious art institution, founded in 1764 by Catherine the Great and situated across the River Neva from the world famous Hermitage museum. In the early 90s, she was one of the first Russian painters to be invited to exhibit in Western Europe with successful exhibitions taking place in London and Vienna. 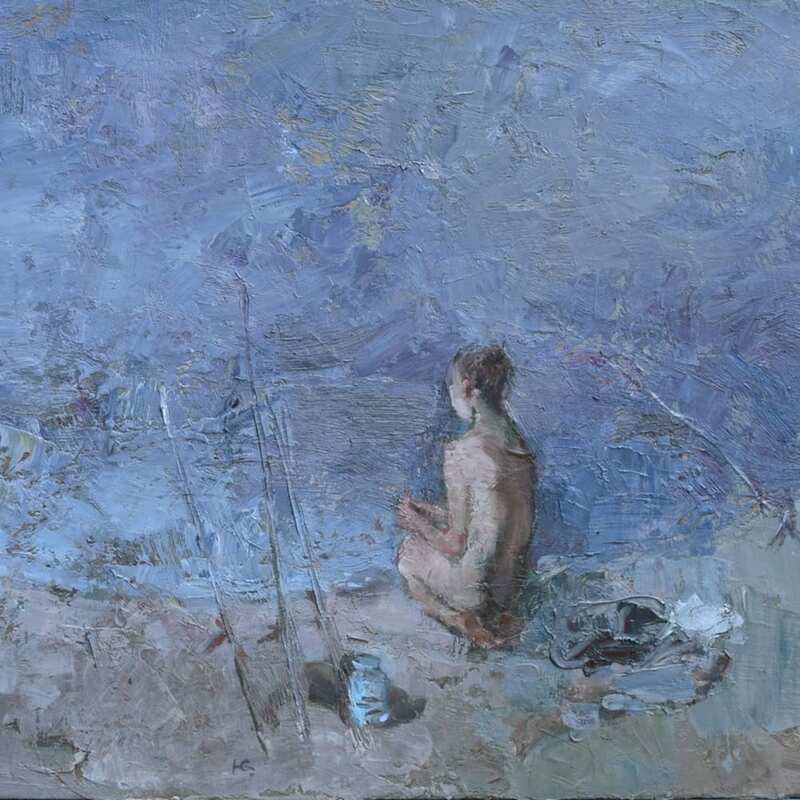 She has subsequently exhibited many times in London (including at the Royal Drawing School and Messums) as well as in Scotland, Spain, USA and, of course, Russia. Elizabeth Simoneau of the International Association of Art Critics wrote of Olga's work in 2010: "... one feels the hand and eye of an artist for whom, schooled by masters since she was a child, composition and the manipulation of colour have become close to pure instinct."